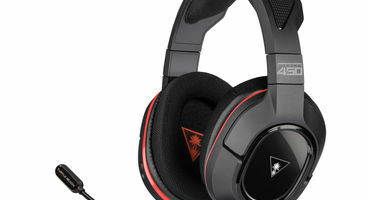 While Turtle Beach has been making a push into the world of keyboards and other PC input devices, the company is best known for its headsets and isn’t slowing down any when it comes to releasing those. 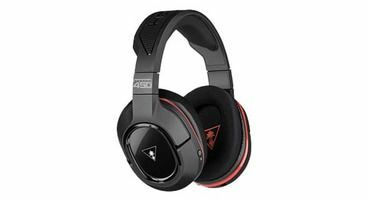 One of its latest PC-focused products is the Ear Force Stealth 450, a nifty new wireless 7.1 surround sound headset. With a price just shy of £100, the most immediately striking thing about the Stealth 450 is that its price is far more competitive than most surround-sound based wireless headsets on the market, especially those marketed specifically with gaming in mind. The big question is how the headset performs for that price - but it’s pleasing to be able to report that in general the answer is that it does a pretty damn good job. With a slick black-and-red design, The Stealth 450 is one of the company’s better-fitting and better-looking headsets. Turtle Beach was once at least a little bit tone-deaf design-wise, but that problem appears to be rapidly disappearing with their latest products - this headset looks good, and I wouldn’t be averse to wearing it outside of the confines of my gaming den. The 450 feels solidly constructed. While some will perhaps grimace to hear that the majority of the Stealth 450’s construction is plastic, I didn’t have a problem with it in actual use. The headset is lightweight, which is an advantage when you’re wearing it, of course, but it feels sturdy all the same. I’m not going to claim the headset would withstand being jumped on or the like, but the basic wear-and-tear one expects from everyday use should be absorbed by this almost as well as some of the metal-construction headsets Mad Catz has put out under their Cyborg label. My biggest misgiving going into use of any wireless headset is what setting the damn thing up is going to be like. It’s so often a horrible nightmare of headset-dongle pairing and driver downloading… but the Stealth 450 astonishingly does away with all of that. You simply plug the USB transmitter into your PC (or Mac), and it’ll automatically populate as an audio device without any external drivers. From there you just have to point your operating system to output there - once that’s done, you’re away. It really is that simple, and even if the headset ends up unpaired from the dongle, even that is as simple as syncing up an Xbox controller. It feels like a much-needed revelation, and when paired with the fact that the USB transmitter seems to have an excellent range (Turtle Beach claim 30 feet), this finally feels like a wireless option worth its salt. The mic is thankfully fully detachable. Turtle Beach’s tools still have to be yanked from their website if you want the full feature set, including proper configuration of the 7.1 surround sound. The surround is actually powered through an on-board decoder built into the headphones, but software is still necessary to ‘talk to’ the decoder. The software also includes the usual expected sound level presets (though admittedly less of them than usual), and there’s a button on the headset to cycle through these… though I must confess I found these largely unnecessary. Surround is always optional, with a button press flicking you back to regular stereo if you require it. Turtle Beach’s big PC-gaming focused feature on this model is ‘Superhuman Hearing’, which essentially enhances smaller details in game audio in an attempt to give you an edge. The theory is that it’ll make it easier to hear smaller sounds like footsteps or the clatter of a grenade dropping in an FPS, and the software allows a hotkey to be pressed to enable or disable it in-game. In practice this feature certainly works as advertised, boosting the volume of otherwise background details without deafening you - but at the same time I personally didn’t actually find it of much assistance in-game. This is a wireless headset that doesn't feel compromised. Turtle Beach claim fifteen hours of battery life from a full three-hour charge via USB, which lined up pretty perfectly with our testing. While the headset can be removed and used alone with an iPod and a regular cable, it is worth noting that you’ll still need a charge for that, making this perhaps a less attractive headset to take on the go as a result. 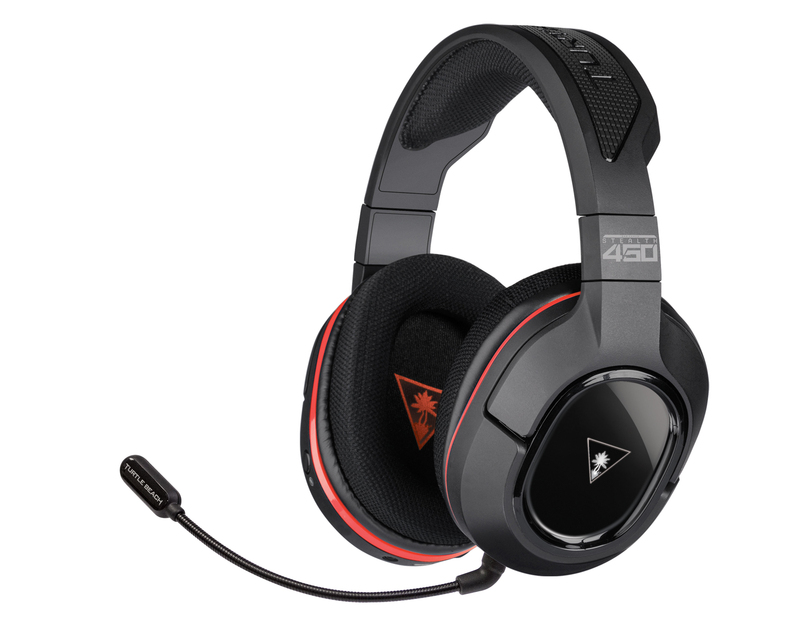 In terms of actual quality, the Stealth 450 lives up to the reputation of Turtle Beach as an audio-first company. The headset has some wonderful bass even in stereo mode, and once you get into the world of surround sound things only get even better still. The reduced number of presets keeps things simple, and every mode sounds great for its specific purpose without getting too granular. Importantly, the mic performs excellently too, meaning those you’re teaming up with will be treated to crisp, clear tones from you - and there’s full feedback so you hear your own voice and don’t end up shouting the house down, which I feel to be a must-have feature. The Turtle Beach Ear Force Stealth 450 is good, then. It in fact might be the best gaming-focused wireless headset I’ve ever used for its price, outstripping rivals that are significantly more expensive. I’m still not always entirely sold on wireless headsets, and generally prefer being tethered to my PC properly - but if Wireless is your thing, this is an incredibly easy recommendation - its great value and great quality, a rare combination. 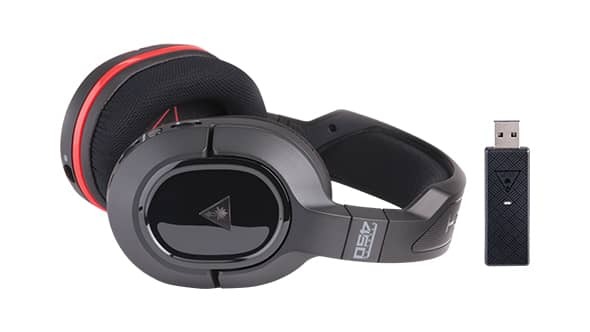 The Turtle Beach Ear Force Stealth 450 Headset is available now from Amazon and eBuyer. Product provided to Game Watcher for Review.